As a charter member of Boston Ballet and its predecessor, New England Civic Ballet, Laura Young has been affiliated with the company longer than any other dancer in its history. This book is both a memoir of her personal journey and a fascinating account of Boston Ballet’s rise from a regional troupe to the internationally recognized company that it is today. It is interspersed with ruminations on the history of ballet, stories from the company’s Balanchine-influenced early years under founder E. Virginia Williams, and recollections from noteworthy tours, including those featuring the legendary Rudolf Nureyev, with whom Young was frequently paired. After retiring from the stage, Young has continued her affiliation with Boston Ballet, both as an administrator and a teacher. Working in collaboration with Janine Parker, Young has written a lively, informed, and entertaining memoir. 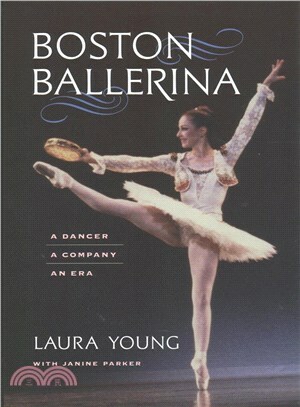 LAURA YOUNG was a company dancer in the Boston Ballet since its inception in 1965 and continues with the organization as a faculty member in its school. JANINE PARKER, also a former dancer, is an artist-in-residence at Williams College. Parker has been teaching and writing about dance for many years.